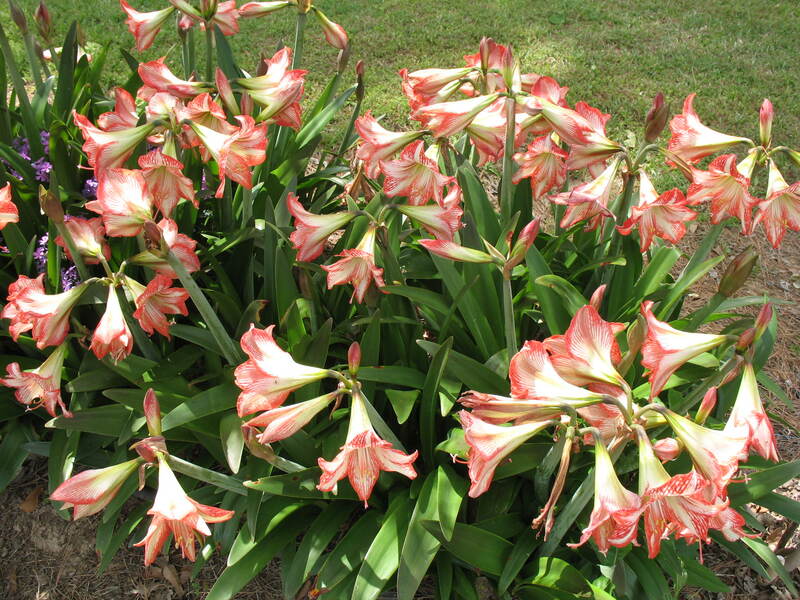 Comments: This is an especially good cultivar for the garden because it multiplies well and will produce a colony of flowering bulbs in a short time. It is easy to grow in the ground and in containers. When forced bulbs bloom indoors they can be planted outdoors provided the soil does not freeze. Mulch help bring bulbs through mild freezes. Plant amaryllis bulbs shallow with about one-fourth of the top of the bulb above ground.